If you don't see the exact truck you want at the Chevy dealership, take a look at the GMC store. GMC scores consistently higher in customer satisfaction than Chevrolet, and equipment and pricing between the two trucks is close. The 2011 Chevrolet Silverado offer strong engines and comfortable interiors to complement impressive toughness and towing/hauling ratings, while the Hybrid model is the most fuel-efficient big pickup on the market. The 2011 Chevrolet Silverado 1500 and Silverado Hybrid are full-size trucks, seemingly built to suit every possible type of truck user. Buyers can choose from two interior designs, four gas engines, one gas-electric drivetrain, two automatic transmissions, one two-mode hybrid transmission, and three cab styles, with bed sizes ranging from 5'8" on Crew Cabs and Hybrids; 6'6" on all versions except the Hybrid; and 8' on all versions except the Hybrid. With its great payload and towing capabilities, the Silverado is versatile enough to serve the needs of Midwest farmers, urban construction crews, and suburban hipsters alike. 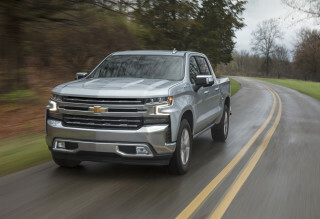 The Chevy Silverado pleases nearly everyone by offering two different interiors, but overall styling remains safe and a little plain—plus, the Silverado's design is now one of the oldest among full-size trucks, with a little less obvious flair than the full-sizers from Toyota, Nissan, and Dodge. The Silverado basically carries on with the same well-done body style GM introduced in 2007. With a simplified, cleaned-up, and larger bowtie grille, it's still a. It's still a good-looking truck, it's not as distinctive as the Dodge Ram, or as controversial as the Toyota Tundra or the Nissan Titan. The look is aging well. Inside, the Silverado and its GMC Sierra sibling are unique among pickups in that they offer two different instrument panel styles. The "pure pickup" versions have a high dash with low-gloss black plastic and no center console for three-across seating. Upscale LTZ versions get a wide console, bands of wood grain trim, and metallic-painted pieces that look far richer and more appealing—and mimics that of Chevy's Tahoe and Suburban large SUVs. It's almost carlike compared to the more upright design on base versions, which also get larger door handles and controls to make operation easier for big hands with gloves. While rivals are getting closer—especially Ford, with its all-new powertrain lineup on the 2011 F-150—the 2011 Silverado still offers one of the strongest V-8 powertrain lineups in the market. The lineup still includes a 195-horsepower, 4.3-liter V-6 in the stripped-down base truck, but the rest of the V-8 lineup feels thoroughly up-to-date. There's a flex-fuel, 302-hp 4.8-liter V-8; a flex-fuel 5.3-liter V-8 with 315 hp and cylinder deactivation for improved fuel economy in XFE models; and a 6.2-liter, 403-hp, flex-fuel V-8 in top-line LTZ Silverados. The base V-6 and base V-8 are teamed with a four-speed automatic; all other versions have a six-speed automatic that shifts very smoothly, helps achieve better fuel economy, and cuts down on noise. 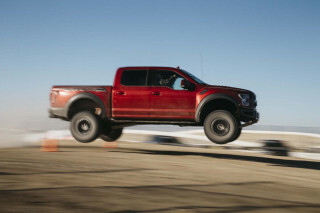 The 5.3-liter is TheCarConnection.com editors' pick, as it has plenty of power for most needs without much lower fuel economy than the base V-6. Besides having some of the best straight-line performance and hauling capability in this class (up to 10,700 pounds), the Silverado is definitely one of the easiest full-size pickups to drive, with more communicative steering than other trucks and a wide range of refined, responsive engines. The Silverado Hybrid has a sophisticated two-mode hybrid powertrain combining an all-aluminum 6.0-liter V-8 featuring variable valve timing and cylinder deactivation, to which GM adds an electrically variable transmission (EVT) with two electric motor/generators and four fixed-ratio gears, as well as a 300-volt nickel-metal-hydride battery pack. In all, the hybrid system is rated at 332 horsepower and 367 pound-feet of torque, which pushes EPA fuel economy to 20 mpg city, 23 highway. Performance feels like that of the 5.3-liter V-8 engine, except for the almost absurd smoothness and quietness as the Silverado runs up to 27 mph on battery power alone. The Silverado Hybrid's brakes are powerful and recapture energy to charge the batteries; even saddled with more weight, the Hybrid tows 6,100 pounds with 2WD, or 5,900 pounds with automatic dual-range four-wheel drive. The 2011 Chevrolet Silverado definitely isn't behind the curve with respect to its interior or appointments. In either the Silverado 1500 or the Silverado Hybrid, there's ample space in front, though the seats could be more comfortable and supportive for longer trips. Either a bench or bucket seats are fitted; with the bucket seats comes a center console with an agreeably styled dash, big gauges, and big controls that can be operated when wearing gloves. Stadium-style rear seat on Crew Cabs has a 60/40-split design and can be folded up for more cargo space. For extra versatility, either section of the split seat can be stowed independently, allowing room for both cargo and a rear-seat passenger, and the rear access doors on extended-cab models open 170 degrees. And throughout the Silverado lineup, the cabin is unexpectedly hushed and refined, thanks to increased sound deadening and tight build quality. Wind noise has been further reduced for 2011. If you're one who has trouble making a choice, the vast array of build combinations and available features in the 2011 Chevrolet Silverado 1500 might seem a little overwhelming. The Silverado comes in everything from basic work-truck form, priced in the low twenties, up to fully leather-lined luxury-loaded Hybrid versions that approach $50k. Most Silverado audio systems now include USB connectivity, and for 2011, the Silverado's OnStar system has been updated to version 9.0, now including automatic crash response, crisis assist, and stolen vehicle slowdown, with a one-year subscription to the Safe and Sound plan. The 2011 Chevrolet Silverado 1500 now has one of the most aged designs among full-size trucks, but it still looks handsome. The 2011 Chevy Silverado pleases nearly everyone by offering two different interiors, but overall styling remains safe and a little plain—plus, the Silverado's design is now one of the oldest among full-size trucks, with a little less obvious flair than the full-sizers from Toyota, Nissan, and Dodge. The Silverado basically carries on with the same well-done body style GM introduced in 2007. With a simplified, cleaned-up, and larger bowtie grille, it's still a. It's still a good-looking truck, it's not as distinctive as the Dodge Ram, or as controversial as the Toyota Tundra or the Nissan Titan. The look is aging well. Both interiors share large, clearly marked gauges and soft blue backlighting, a meaty steering wheel, and humongous cup holders tucked either into the dash or the fold-down armrest, or molded into the console. 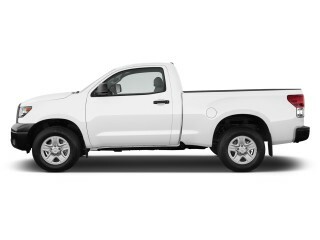 The 2011 Chevrolet Silverado has strong performance where it matters—plus better handling than other full-size trucks. 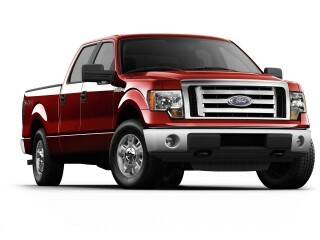 While rivals are getting closer—especially Ford, with its all-new powertrain lineup on the 2011 F-150—the 2011 Silverado still offers one of the strongest V-8 powertrain lineups in the market. 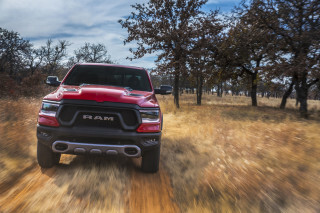 The engine lineup is unchanged, including a 195-horsepower, 4.3-liter V-6 in the stripped-down base truck; a flex-fuel, 302-hp 4.8-liter V-8; a flex-fuel 5.3-liter V-8 with 315 hp and cylinder deactivation for improved fuel economy in XFE models; and a 6.2-liter, 403-hp, flex-fuel V-8 in top-line LTZ Silverados. The base V-6 and base V-8 are teamed with a four-speed automatic; all other versions have a six-speed automatic that shifts very smoothly, helps achieve better fuel economy, and cuts down on noise. 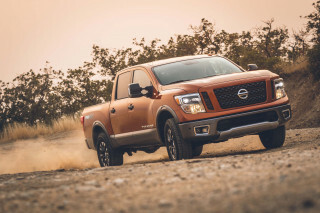 The 5.3-liter is TheCarConnection.com editors' pick, as it has plenty of power for most needs without much lower fuel economy than the base V-6. The lineup is offered with either rear- or four-wheel drive-with a single-range transfer case this year, while dual-range 4WD is now an option-or on top versions, electronically controlled four-wheel drive. The Silverado Hybrid has a sophisticated two-mode hybrid powertrain combining an all-aluminum 6.0-liter V-8 featuring variable valve timing and cylinder deactivation, to which GM adds an electrically variable transmission (EVT) with two electric motor/generators and four fixed-ratio gears, as well as a 300-volt nickel-metal-hydride battery pack. In all, the hybrid system is rated at 332 horsepower and 367 pound-feet of torque, which pushes EPA fuel economy to 20 mpg city, 23 highway. Performance feels like that of the 5.3-liter V-8 engine, except for the almost absurd smoothness and quietness as the Silverado runs up to 27 mph on battery power alone. The Silverado Hybrid's brakes are powerful and recapture energy to charge the batteries; even saddled with more weight, the Hybrid tows 6,100 pounds with 2WD, or 5,900 pounds with automatic dual-range four-wheel drive. The 2011 Chevrolet Silverado has a roomy, refined interior; front seats could be more supportive, though. The 2011 Chevrolet Silverado definitely isn't behind the curve with respect to its interior or appointments. Across the Silverado 1500 / Hybrid lineup, bed sizes range from 5'8" on Crew Cabs and Hybrids; 6'6" on all versions except the Hybrid; and 8' on all versions except the Hybrid. In either the Silverado 1500 or the Silverado Hybrid, there's ample space in front, though the seats could be more comfortable and supportive for longer trips. Either a bench or bucket seats are fitted; with the bucket seats comes a center console with an agreeably styled dash, big gauges, and big controls that can be operated when wearing gloves. With several different layouts, and seating variations even within cab styles, you're best to see examples of all the possibilities in person. 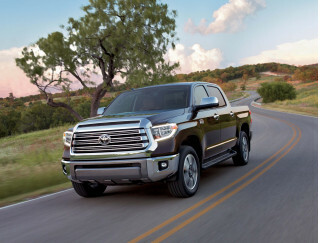 Buyers can choose a regular cab with almost no room behind the front seats, an Extended Cab with space for tools and gear, or a Crew Cab for three-across adult seating. 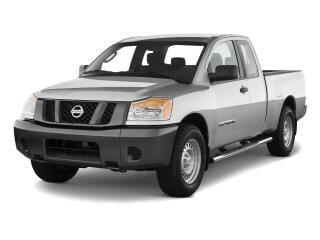 The stadium-style rear seat on Crew Cabs has a 60/40-split design and can be folded up for more cargo space. For extra versatility, either section of the split seat can be stowed independently, allowing room for both cargo and a rear-seat passenger, and the rear access doors on extended-cab models open 170 degrees. The back seat in Hybrid models is somewhat like that in other Crew Cab models but under-seat storage gets compromised, to make room for batteries. Throughout the Silverado lineup, the cabin is unexpectedly hushed and refined, thanks to increased sound deadening and tight build quality. Wind noise has been further reduced for 2011. The 2011 Chevrolet Silverado 1500 and Hybrid are respectable, though not excellent, for safety. The 2011 Chevrolet Silverado 1500 and Hybrid have a good set of safety features, but crash-test results have been mixed. The IIHS (Insurance Institute for Highway Safety) has rated the Silverado 'good' for frontal offset but only 'acceptable' for side and rear impact, and it hasn't yet tested the truck for roof strength. Outcomes from the federal government have been better, with four- or five-star overall ratings, depending on the cab style (Crew Cab models do best), and five-star side impact ratings on all models. Side and side curtain airbags are standard on all Silverado 1500 models, whileanti-lock brakes, stability and traction control, OnStar, and tire pressure monitors are all included. A rearview camera is available, as are power-adjustable pedals. 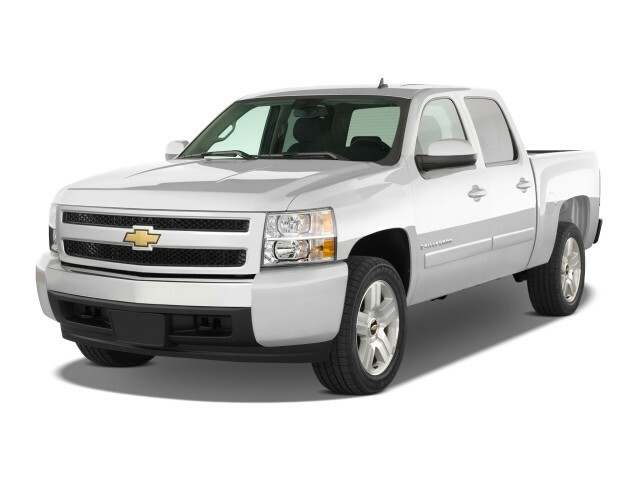 Whether you want a basic work truck or a loaded luxury rig, the 2011 Chevrolet Silverado can be a perfect fit. If you're one who has trouble making a choice, the vast array of build combinations and available features in the 2011 Chevrolet Silverado 1500 might seem a little overwhelming. The Silverado comes in everything from basic work-truck form, priced in the low twenties, up to fully leather-lined luxury-loaded Hybrid versions that approach $50k. As a Silverado work truck, equipment is sparse, including an AM/FM radio that can even be deleted, vinyl seats, roll-up windows, and manual door locks. At the other extreme, the Silverado can be fitted with a huge variety of options, including Bluetooth connectivity; XM and NavTraffic; OnStar with navigation; a DVD navigation system; leather upholstery; a power sunroof; a power sliding rear window; and all sorts of cargo tools and snap-ons to make the bed work harder. Silverado Hybrid pickups come equipped in a simpler cloth-seat version with dual-zone climate control; remote keyless entry; and steering-wheel audio controls. 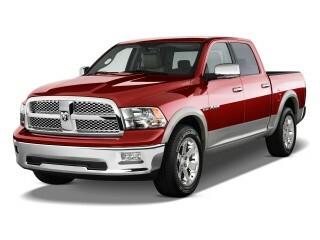 There's also a leather-lined edition with Bluetooth, DVD navigation, and a high-end audio system with XM NavTraffic. Most Silverado audio systems now include USB connectivity, and for 2011, the Silverado's OnStar system has been updated to version 9.0, now including automatic crash response, crisis assist, and stolen vehicle slowdown, with a one-year subscription to the Safe and Sound plan. The 2011 Chevrolet Silverado 1500 is more fuel-efficient than most full-size trucks, but it's still not very green. Among full-size pickups, the Silverado 1500 lineup is quite fuel-efficient: EPA ratings range from 13 to 15 mpg in the city, and 19 and 21 mpg on the highway across non-hybrid V-6 and V-8 variants. Surprisingly, there isn't much of a difference in fuel economy between the base V-6 version and the optional V-8s—possibly due to the fact that top 5.3-liter and 6.2-liter V-8s get a six-speed automatic, while the 4.3-liter V-6 and 4.8-liter V-8 make do with a four-speed automatic. That aside, if you're looking for the most fuel-efficient Silverado, the winner by far is the Silverado Hybrid. With EPA ratings of 20 mpg city, 23 highway, whether you get 4WD or not, the Silverado Hybrid is the green choice for full-size truck shoppers. Looking for a different year of the Chevrolet Silverado 1500?